Say what? – Trees & Flowers & Birds! 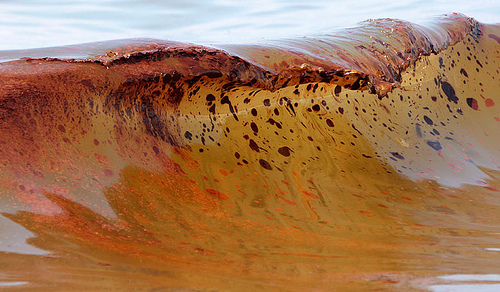 If we didn’t know what caused those colors in this wave, we would call this rather beautiful. A truly amber wave. Instead, it’s sickening. But you know what’s even more sickening?